Vegetables and flowers thrive when they are fertilized but nitrogen fertilizers can damage delicate roots and cause heavy-metal build-up in soil. Nitrogen fertilizer can also kill the microorganisms that make soil fertile. 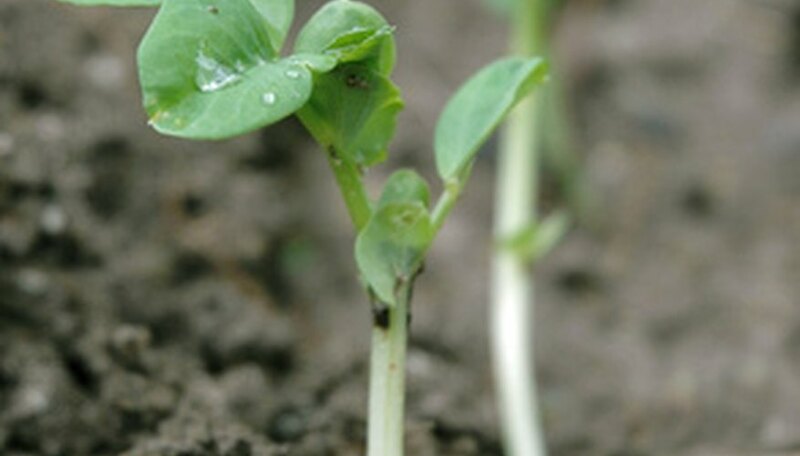 It is the microorganisms that create nutrients for plant growth and health. A teaspoon of organic soil contains four billion microorganisms that help plants resist disease while they add nutrients to the soil. There are several ways to feed plants without using nitrogen fertilizers. Commercial or homemade compost is the best alternative to nitrogen fertilizer. It is made from decayed materials leftover from farm production or kitchen and garden waste. A compost pile is the best way to create it, either in a purchased compost bin or by making a compost pile. Layers of carbon materials and nitrogen materials are placed in the compost bin and watered thoroughly. Carbon materials are shredded newspapers, dry leaves or straw. Nitrogen rich materials are grass clippings, kitchen scraps and coffee or tea grounds. Carbon materials are called “browns” and nitrogen materials are called “greens” in compost recipes. The combination of browns and greens, air and water, creates the decomposition process. In three to six months the compost is rich, brown, crumbly in texture and a good alternative to nitrogen fertilizers. “By using compost tea to replace chemical-based fertilizers, pesticides, and fungicides, you can garden safer and be more protective of the environment, “ according to the Pennsylvania Department of Environmental Protection. Less than ¼ of a teaspoon of compost tea contains over a billion beneficial bacteria to aid in plant growth and disease resistance. The beneficial bacteria and fungi in compost tea overtake harmful bacteria that cause disease on plants. Compost tea is made by soaking mature compost in water in a one to five ratio. Soak it for three days and then use to water or spray flowers and vegetables. The tea can be further diluted without compromising its benefits because the microorganism are constantly reproducing. Worm compost is an alternative to nitrogen fertilizer that is also concentrated and easy to use. Worms digest nearly their body weight in fruit and vegetable scraps each day, leaving castings behind. Castings are five times higher in nitrogen and seven times higher in phosphorus than ordinary common garden soil. Redworms are used to make compost. The worms nest in coconut fiber bedding material or shredded newspaper and feed on scraps of fruit and vegetables. Many people use commercial worm bin kits with a tray system that collects the water run-off, which is also used as a fertilizer. Worm compost is ready to harvest and use in the garden in three to six weeks. Many local recycling and composting programs have worm compost workshops that sell bins and worms. What Is the Purpose of Compost?